The Postgraduate Education in Toxicology (PET) offers a modular training programme, which builds upon MSc-level skills and competences in toxicology. The PET programme provides the theoretical basis required for recognition and registration as a professional expert in toxicology. Details on the procedures and requirements for recognition and registration can be found on the websites of the Netherlands Society of Toxicology (NVT) and the European Society of Toxicology (EUROTOX). Single modules of the PET programme also form stand-alone courses, which are highly suited to provide in-depth knowledge in specific areas of toxicology for professionals from the private as well as the public sector and for PhD students with a background in toxicology. For details on eligibility for the PET programme and on enrolment, please look under Application. 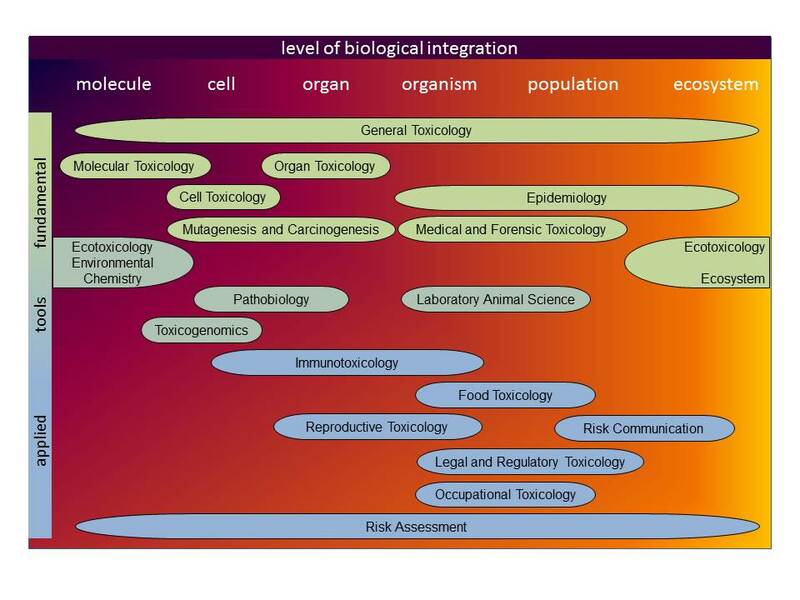 different technological approaches (pathobiology, mutagenicity and carcinogenicity research, toxicogenomics, laboratory animal science). Below is a schematic overview of the entire PET curriculum. For course details, please click the icons in the diagram. develop abilities to apply toxicological scientific information in specific areas of toxicology and to communicate with fellow toxicologists as well as laymen in a professional and ethically justifiable way. Language: the entire PET programme is taught in English. Organization: Each module is organised locally by a department of one of the participating universities under the educational and organisational responsibility of that department. For details see the organisation of the PET.